Green cloth binding with coloured pictorials on front cover and spine. At ahead of title: Canada Series. Frontispiece: ""The Albatross is on fire!"" Frontispiece and full page plates included in pagination. Plates printed on one side only. Publisher's catalog follows text. Illustrated endpapers. 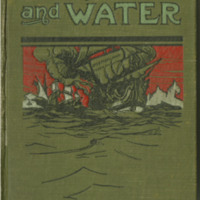 Physical Description: 324 pages : illustrations by Louis R. Dougherty ;  leaves of plates ; 19 cm. Ellis, Edward S.(Edward Sylvester). Fire, Snow and Water: Or, Life in the Great Lone Land : A Tale of Northern Canada. Musson Book Company, 1908. 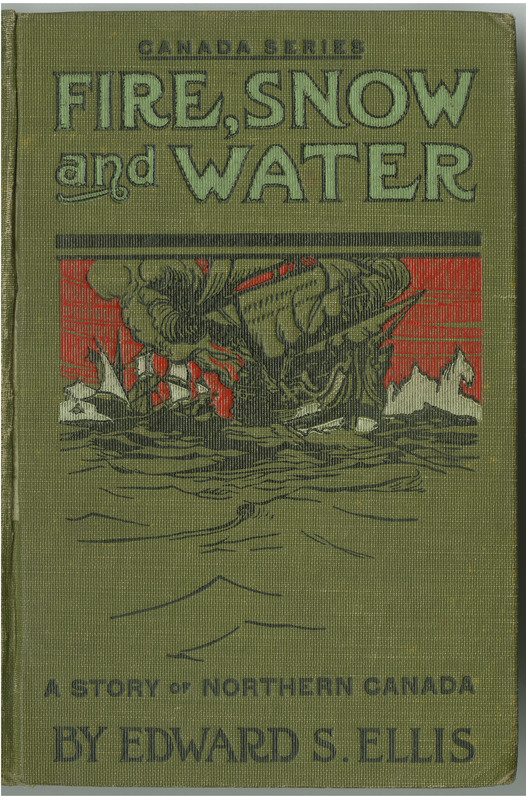 Ellis, Edward Sylvester, 1840-1916., “Fire, snow and water,” York University Libraries | Clara Thomas Archives & Special Collections online exhibits, accessed April 21, 2019, http://archives.library.yorku.ca/items/show/4171.